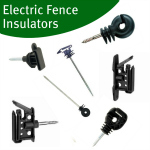 We have a great range of electric fencing kits for different types of animals. 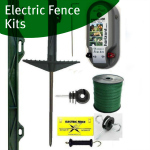 All kits come with an energiser and an earth stake and range from starter kits to kit for larger more larger electric fence systems. 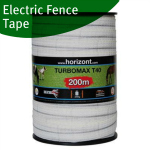 There are horse electric fencing kits suitable for strip grazing or that can get you started on building a larger fence. Many fence kits have an option of coming with either white or green posts. 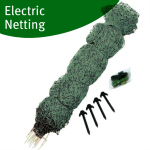 Our poultry netting kits are ideal for getting you started on a fence to keep your chicken within. There are also kits for domestic pets such as cats and dogs which can be used in the garden. We have specially designed pig fence kits and also sheep electric fence starter kits which can be easily expanded. 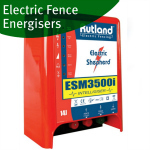 Electric fence kits offer great value as you can make a saving rather that buying the individual items. If however you do not see the kit you need please contact us by using the contact us form or emailing us at sales@agri-supply.co.uk and we can build one for you.